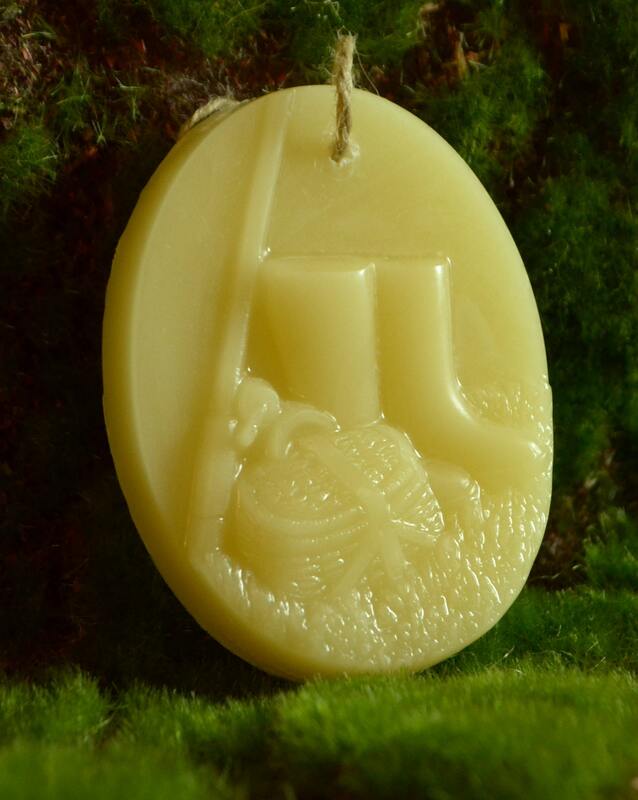 Natural beeswax fishing themed ornament. Complete with creel, wading boots and fly-rod. The perfect gift to hang on the tree of the fishing enthusiast on your gift list.